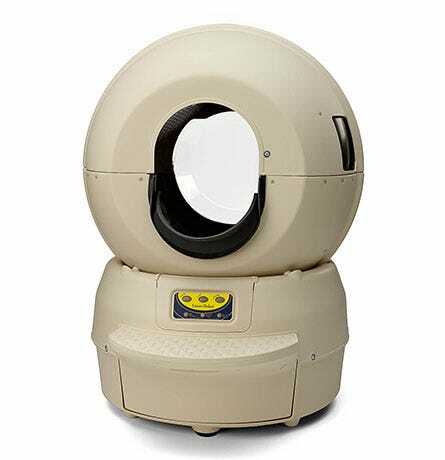 The Litter-Robot Bubble automatic self-cleaning litter box. If you have a medium-to-large sized cat (less than 15 lbs.) that needs a bit more space, the Litter-Robot Bubble is the product for you! With an additional bubble-shaped window, the interior space is increased by 3 inches and allows natural light to enter the globe. If you have a medium-to-large sized cat (less than 15 lbs.) that needs a bit more space, the Litter-Robot Bubble is the product for you! 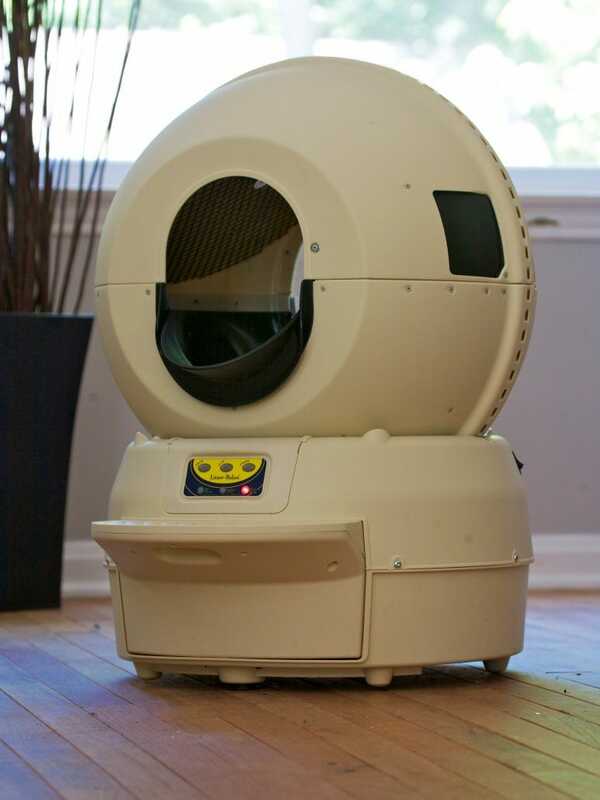 With an additional bubble shaped window mounted to the rear of the globe, front to back space is increased by 3 inches and natural light is permitted to enter the globe, making your cat’s Litter-Robot experience more comfortable and bright. The Litter-Robot Bubble functions the same as the Classic unit with an automatic cleaning cycle after each use, freeing you from the chore of litter box scooping. Free shipping applies to the contiguous 48 states. Shipments to Hawaii, Alaska, and Puerto Rico will require additional shipping charges.